Millville high graduate and Temple football alum Ryquell Armstead met with the Eagles today in advance of the upcoming April 25th NFL Draft. The 5-foot-11, 220-pounder, impressed at the NFL Draft combine, running a 4.45, 40-yard dash. "Armstead was exactly who we thought he was at the Senior Bowl," said NFL Draft expert Scott Wright from the website NFLDraftcountdown.com. "A tough, physical, between the tackles type. I call them “Meat and Potatoes Runners”. Armstead looks like a Day 3 value and probably profiles as more of a backup at the next level." 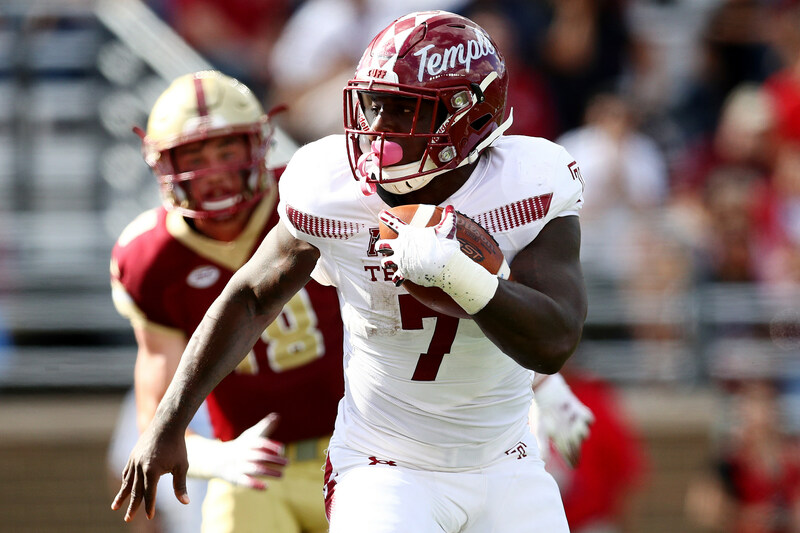 As a senior at Temple, Armstead rushed for 1,098 yards and 13 touchdowns, but caught eight passes for 52 yards in 10 games last season. Armstead has turned some scouts heads this draft season, with an impressive showing at the Senior Bowl, and now the NFL Combine, showing some good measurables to be an NFL back.